Have been a fan for a long time. History is made with every episode! The host seems distracted and struggles to find words and constantly interrupting his guests asks odd questions that donât necessarily relate to the topic of discussion. Itâs like heâs having mini panic attacks while talking to his guests. Itâs like heâs twelve years old with raging ADHD. Read some books on doing interviews please. It is obvious that Jim works hard to present the best paranormal podcast. In a market that is over saturated with every alien abduction aficionado or conspiracy cognoscente, Jim has the common man's point of view on the supernatural and unexplained. Keep digging, Jim, the truth is out there. So bad it literally stinks! Couldn't get past the first ten minutes of the show and I tried different episodes. The host just doesn't have a clue and at times it's like he isn't even listening to the guest. Too many times Jim Malliard has come across as just a random person trying to pretend he's a show host. Go elsewhere for your paranormal podcast. You have been warned! Only show I listen to on iTunes. I enjoy laid back podcasts where the guest and host are able to be relaxed. Jim does a great job at this. I look forward each week to listening!! Jim is not You're Every day Paranormal. I Love His wit, charm, & intelligence. His willingness to take on the largest to smallest Names. He is Warm & willing to take ANYTHING on! I Love His Show! I, like the previous person, have heard many paranormal podcasts and this has got to be one of the absolute worst.There are a ton of Podcasts out there.There's a small handful of really good Paranormal podcasts.Typically I listen to the Paranormal Podcast with Jim Harold and a new one called the Farside Paranormal Podcast. Jim's Podcast is more polished but the Farside one isn't bad at all. Much better than this Malliard Report. Got to be one of the worst! Thereâs some pretty bad podcast out there, but this has got to be one of the worst! Iâve tried giving it a listen one to many times. Malliard never seems to be prepared! At least spend a few minutes and get your thoughts together than go for the goldâ¦ sadly this isnât the case. Iâve given it months, gone back and itâs almost a joke that itâs still the same. I tend not to bother with giving out bad reviews but after the last few listens I felt the need to do it. To come on here and see that itâs rated with 5 stars make me wonder if they even listened to another podcast. Forgetting names, mispronouncing names, forgetting questions he intended to ask, etc. the list really does go on. You have got to at least listen to 5 shows! 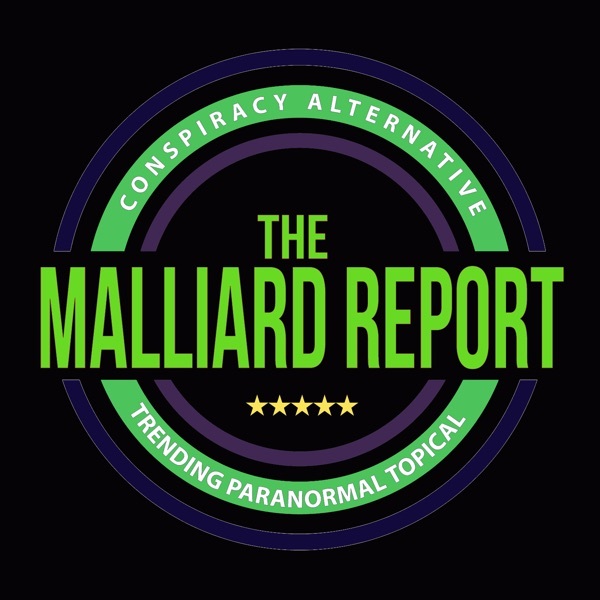 The Malliard Report is what I have been waiting/looking for here on iTunes podcast for paranormal stuff. It's a really well done show. The Malliard Report is wonderful! Takes the paranormal back to a raw form. telling all my investgators in my group. I am looking forward to future reports. who knew that about haunted houses? From Big Names to no names, the Malliard Report delivers. The Malliard Report is a solid podcast. I wandered into your podcast while visiting the Parapods website and was very pleased at the qualiy of the podcast. Hope this one sticks around. Less toilet humour and more depth than alot of the other shows in the genre. Gratz.